Batman's™ most villainous nemesis at his cackling worst. 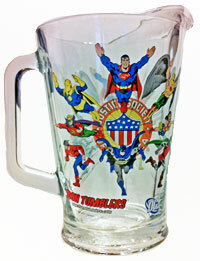 There hasn't been a Joker glass made in the U.S. for over 30 years. Now here he is on his first 'Toon Tumbler®. Clear only.